So I thought it would be important to discuss this here. Afterall, even though I am not with Spinning®, this is one of the more prominent indoor cycling blogs. ICA, would not exist if it weren’t for Spinning®, and neither would my career in this amazing activity! Spinning® is the reason why we are here discussing this in the first place, and it is the reason why we do what we do in our cycling studios every day—inspiring our students in our classes, whether you are a Spinning® certified instructor or not. Even if you don’t like the Spinning® company or program, if you teach indoor cycling, then you are doing it because Johnny G rode a bike indoors to music in a group environment in an inspirational way and called it Spinning. 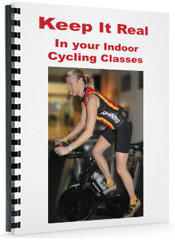 Yes, many different indoor cycling programs have emerged since then, and many of them are excellent programs. But only Spinning® is Spinning. We all, every single one of us, should honor that. I do not work for Mad Dogg Athletics and Spinning® any more, and I am not waving a Spinning® banner from a Spinning® pedestal out of company loyalty. I am opening this discussion out of respect for the brand, and as a business owner (in this industry) and someone with an MBA who understand the importance of a brand. Also, I have had to wage my own battle just in the last year to protect my own trademark and my intellectual property from copyright infringement from a former partner, so I am acutely sensitive to this issue. As a very active member of this industry, I believe we should stand up for and help protect brands, no matter who they are and no matter if you follow them or believe in their philosophy or not. It is important for our industry. People who don’t own a business (or who didn’t study business in school) may not realize the importance of a brand name, but it’s one of the most important aspect of a business in any industry. For some companies in some industries, the Brand itself is worth millions, even billions of dollars (Apple® or Facebook® for example, and much of that value is due to what the NAME inspires in people). So a Brand is exceedingly important. It’s not just the name, the title, it’s everything that is attached to that name – the program, the emotion, the ideas it conjures up in the public’s mind. How does it make you feel? Will you go out of your way for that brand? Why or why not? More than anything, it is the perception of a brand that is vitally important. What do peope think when they hear that name? Their perception is borne out of their experience and their exposure to that product. In the case of Spinning®, what does their instructor say and do? How does the club promote the product? What do they see and hear in the media about that product? Is it correct? The public has absolutely no idea what is correct or not, especially if they see misrepresentations of the product everywhere they look. Here are two media examples online: Soul Cycle called “Extreme Spinning” and yesterdays’ Good Morning America post. As we saw in yesterday’s Good Morning America segment, the media and the public have no idea what the real Spinning® is. To them, Spinning means lifting light weights while pedaling super fast because that is what it said right there on the television…and TV is ALWAYS right, isn’t it? Based on past media blasts of “Spinning”, it might also mean doing pushups and moving the hips back and forth and up and down and crunching and holding the body really still and doing other silly things while pedaling. Or according to The Biggest Loser , it meant taking away the saddles and holding the handlebars from underneath while some super cut, super fit but uncertified woman yelled in your face to pedal faster and faster, even if you weighed 350 pounds, you couldn’t talk and your face was beet red. A company may work tirelessly to make sure the brand is seen in a certain way—in this case, as a safe and effective workout. But if another program misrepresents that brand and has a huge PR juggernaut behind them, as well as a huge audience that follows every word they say, then some serious damage can be done to that brand that is being misrepresented. It can be one or two big names that ruin it for the brand (Biggest Loser, Soul Cycle, etc), or it can be insidious, one club or instructor at a time, city by city, state by state, country by country, year after year. When a brand name becomes the term for everyday usage of that particular product, in business parlance it’s called becoming “genericized”. It’s not good for any product because it dilutes the brand and minimizes the quality. Unfortunately this happens more often to the company that is the first in a niche or an industry because the brand name becomes the product in the public’s mind. Kleenex is a classic example, as is Xerox and even Bandaid. I never realized the importance of this until I got my MBA. Prior to that I thought it was silly to care so much about a “name”. Could Spinning® have taken better steps early on to protect the brand? I’m sure they could have. But for those of you who are not Spinning® certified (and even many of those who are) it’s important to know that since day 1 it has been part of the orientation and manual that Spin®, Spinner® and Spinning® are all registered trademarks, and no facility is authorized to use these terms in their own brand name. Instructors who took the orientation, as well as the clubs who signed the Spinning® license agreement, learned this from the very beginning, but either forgot, or chose to ignore it. The problem is that the unknowing public and the media exacerbates it by using it freely in every situation that involves riding a bike indoors, even if they do it with one leg on top of the handlebars, both hands behind the back, while pedaling at 160rpm. The public or the media never signed any license agreement with anyone, so they do not know. And why should an instructor ever have reason to tell their students anything different? They just call it “spinning” because the club does. Should you be sued for saying ‘spinning’ when it’s not? Of course not, but if you opened a facility and called it “Spinercise*” yes, you should be. (*That’s an actual name of a studio in Miami that does very dangerous and downright silly things on the bike). I will posit that Spinning® has not had it easy in this endeavor of protecting themselves from the very beginning (Note: this is supposition. I do not have any insider information!) They took an existing term that has been used widely in the cycling community for many decades—”spinning” means to pedal quickly in a lower gear, usually to imply riding easier than you normally would. A cyclist might say to her cycling buddies, “I rode hard yesterday, I’m just spinning my legs today—you guys go ahead and ride Death Hill without me.” That common usage alone must have made it harder to impose restrictions on the cycling and even indoor cycling world. Perhaps in a way, Spinning® as a protected brand name had an uphill battle from the beginning (pun intended). However, to see a brand name so blatantly disregarded on national television in yesterday’s Good Morning America segment is really surprising to me. They should know better. It’s not a secret to the people in the industry…Flywheel knows, Soul Cycle knows, any indoor cycling program knows you cannot call it Spinning®. Maybe the public doesn’t know, but that is another reason why it’s up to us, the instructors, to try to educate them. It’s very important for the fitness industry, our industry, to protect all brands. Spinning®, Zumba®, Kettlebells®, TRX®, etc. all of them need to be protected. I read Club Industry online magazine every week; you wouldn’t believe the efforts many of these companies have to go through to protect their brands. At the moment Spinning® and Zumba® have launched a joint lawsuit against a Mexico company that is counterfeiting “Spinning” and “Zumba-esque” programs illegally. So they aren’t sitting on their butts, but sometimes it feels like that when we keep seeing blatant misrepresentations and no apparent action. It’s important to realize that they do have to pick and choose their battles, because the cost of fighting this battle is enormous. This is why the Spinning® brand is important to you, the indoor cycling instructor, even if you are not Spinning® certified or do not work in a licensed Spinning® facility. I hope this has opened up some eyes and minds out there and helped you understand why the Spinning® brand is important even if you do not teach Spinning® per se, even if you are not Spinning® certified, and even if you dislike Spinning® as a brand, a company or a program for whatever reason. I am also hoping that since I am no longer connected with spinning® (at least officially…there will always be a connection in my heart to this activity that Johnny G created and the passion that it inspires), that my saying this might even have more of an impact than it would if I WAS still with Spinning®. I encountered too many situations during my 12 years with Spinning® where people resisted the notion of a brand, or of protecting a name, and told me it was only because I worked for them that I was insistent on protecting it. Nope, that’s not it. It’s our industry. We are all in this together…let’s help each other! I agree with you about branding. VERY important in business. Fascinating topic indeed. I have a lot of friends in the IP law field. I respect your loyalty to the brand. What’s funny is that people arguing with you don’t see that this issue really goes both ways. First, on the GMA segment. I have a rather low tolerance for stupidity and it nerves me that the producers either did not do their homework on the trademark issue or just didn’t care. Then, you know darn well that Ruth Zuckerman knows that “spinning” is trademarked material as she herself has trademark all of Flywheel’s material. For goodness sake she trademarked “stadium cycling”. Which leads me to my original point of the issue going both ways. Why on Earth would any self respecting business person with half a frickin’ brain go on national tv and refer to their product by another companies brand name!!!! Are you a raging idiot. I would have made sure that They never said the word spin or spinning i reference to my studios. I own a small studio in the Tampa area. We’re all Schwinn and we love, love, love the bikes and their training program. That being said I try to differentiate myself from “spinning” As far as I’m concerned I couldn’t give a crap about their brand, I care about mine. That’s why we don’t use the term spin or spinning ever. Not protect them, but to set ourselves apart. Great topic. I’d love to hear the thoughts of the others. I want to second Jennifer’s well-written article. This is important stuff. We all degrade our own industry when we use this term incorrectly. Spinning was the first. And, to my knowledge, may still be the only certification organization to require continuing education to maintain certification. Let’s give Spinning the respect it deserves. When we use their name incorrectly, we are literally stealing some of their hard-earned good reputation. As far as “Spinning”, for as long as I have been certified, I have been known as a “Spinning Instructor”. I have not done anything that resembles an energy zone, have not taught on a Star-Trac bike, and have not recommended a HRM to anyone in many years. Yet, when asked what do I do at the gym, I say, “Spinning”. Because no one really knows what “indoor cycling” means and the bikes have always been in the “Spin Room”. People ask me if I play good “Spin music”. People ask me to recommend “Spinning shoes”. If you were to start a new Latin dance class and call it LDC, everyone would call it a “Zumba” class. If you had a new class that used stairs and called it “Indoor Stair Class”, it would get called a “Step” class. The words are generic. They are part of the exercise vocabulaly. They mean what we want them to mean. The person leading the class, the manager directing the program and hiring the instructors, and what the participants perceive they were following for that hour are the main components. Every time someone brings publicity, as long as no one was injured, there is something good. Even the entertainment value has some merit. As this week’s, or a prior weeks song recommendation, “The Accoustic Motorbike”, says, and I paraphrase, “I rode by a field of cattle that were well fed and well balanced”. Publicity needs to viewed balanced. I feel very torn about the Spinning brand and term. On the one hand I am very grateful to be Spinning certified – it has changed my life and I believe in their program. On the other hand, I find myself calling my classes indoor cycling more often than Spinning because of all the incorrect associations with the term. I cringe when I see video clips like this one. And I always clarify how I teach when people find out I’m a Spinning instructor: “no, no – I teach road riding principles…no push-ups on the bike.” I do wish Mad Dogg would more aggressively protect their brand. Those of us who strive to be effective, informed instructors shouldn’t have to defend why we teach Spinning correctly. It does make me wonder if Mad Dogg subscribes to the belief that any publicity is good publicity. Thank you, thank you, thank you for this great article. I’ve been preaching this since about 1999 when I got involved with the Spinning(R) program. I owned a private studio for about 7 years and let me tell you that everyone who ever came through my door realized the difference between other programs and the Spinning(R) program. But, I had an up hill battle all the way …… and still do. Like you said, if someone on TV said it, it MUST BE TRUE! And it’s very difficult for a small town girl to undo what advertising and TV personalities have said. But, anyone who was truly serious about working out with the Spinning(R) program got it! And stayed true to it. It is always a big help when the club that you are instructing for supports you in any class area, but since the economy gobbled up my business, I’ve tried to get positions at other area clubs and without the owner/manager’s backing, Spinning(R) class quickly gets turned into some circus sideshow-one place has “instructors” that are anything but certified in anything. They just used to be in the front row and when the instructor quit, they got a free class if they sat in the front and lead what they remembered the program to be. It’s very frustrating. And this isn’t NYC– where I live, people cringe at the thought of $5.00 per Spinning(R) training session. So, I just have to be satisfied that I know that I’m helping my students with the Spinning(R) program to meet goals…… well, just for the satifaction of it. Johnny G has certainly influenced my fitness career and I’m so glad that I got into the Spinning(R) program when I did and was able to take advantage of the education offered at yearly WSSCs. It has made a world of difference in my teaching skills. I’ve been teaching for just over 30 years and will continue with the true-blue Spinning(R) philosophy as long as I can climb up on that bike! As a Master Instructor for the Spinning(R) program, I am constantly reminding my students in orientations and continuing education workshops about the importance of maintining the Spinning(R) brand. I encourage them to report trademark violations to Mad Dogg Athletics, Inc.
Take a stand and defend the program that started it all!!! Saw on Twitter yesterday from @SpinningHeadquarters retweet your article about why Branding of Spinning (R) is important and important to them. My immediate thought was…it’s SO important to you that it took someone not associated with your program to write it up. Your passion for indoor cycling regardless of brand is wonderful. Your posts are thought provoking and need to be said so thank you to bringing it to the masses. I completely “stumbled” upon this advice column, as I was looking for an Internet image of the Spinning Logo. My mother designed this original Spinning logo (sometimes called the “Spinning Man”) and I happened to be talking to a friend about how the logo was created, etc. Anyway, your article was very succinct and pertinent to the subject of copyright infringment. I enjoyed reading it from start to finish. Back in 1989 (first Spinning studio with Johnny in Santa Monica), Johnny coined the term Spinning and we became the “Kleenex” of the fitness world. We were flattered, at first. Once Schwinn jumped on board with the “hardware” of the program (bikes) and we were introduced to the world at IHRSA, knock-off programs started popping up all over the place. The journey to protect the trademark began. Some of the comments above reflect the opinion that MDA could be better at “policing the trademark” … I just wanted to say that MDA (at least while I was there), spent most of their budget on trademark protection. Of course, unless you were working at MDA, there would be no way of knowing this fact. I spent more than my share of time, in attorneys offices, working to protect the brand. I would have to trust that MDA continues to spend many resources to protect the copyright so that certification remains valuable. The best way to protect the trademark is to report abuses to MDA. I guess you don’t know much about trademark law, nor about the evolution of group fitness classes. Johnny G was the very first to create a group fitness class on an indoor bike, an organized class built around riding stationary bikes to music, using profiles and heart rate training in a motivating environment. Prior to Spinning®, there was no indoor cycling “classes” taught to music on a grand scale that was marketed to clubs around the world. Was there people riding bikes indoors? Absolutely. Might someone have called what they were doing “spinning”? Perhaps; it is after all a cycling term for pedaling at a lower gear, higher cadence. FYI, MDA and Spinning® has always acknowledged the cycling source of the term “spinning”. The real hard “proof” is the registered trademark for this group fitness class. You can find it at the trademark office if there is any doubt. I wish words that are in the common vernacular were against the law to be trademarked. Kleenex didn’t try and trademark the word tissue… TRX, Kettlebell etc are words that were invented with and directly relate to their product and brand. When i did my indoor bike certificate we learned about Johhny G, his program, the brand and why weren’t allowed to use the word spinning/spin. Instead of learning about the history of the sport and honouring Johnny G, we are taught he is the reason we can’t use a common word that relates directly to the sport we love. I would not enjoy being a ‘spinning’ instruktor and having to add an (R) every time I typed the words spin or spinning – it’s also difficult to read. Yes, branding is important but what if cycling/cycle, riding/ride, pedalling/pedal were all trademarked? Where does it end? Will we soon have to pay a fee to voice or write an opinion depending on who our words belong to. This constant fight to keep a grip on a word that everyone could freely use before the trademark feels (to me) outdated and damaging to the sport. Fancy spending millions on protecting a word, I’m sure the brand would have been much easier to protect if it just had a better name and the authorities stopped giving companies permission to hijack words. Hi Ida, thanks for your thoughts on this. Here’s something to consider. The trademark Spinning® only relates to an indoor cycling group fitness class conducted to music on stationary bikes. That did not exist before Spinning came along in the early 1990s when the trademark was filed (by then, Johnny had been doing this for several years already). The group fitness class called Spinning created by Johnny G and MDA was the first one in existence in the fitness industry. Cycling as a group in a gym wasn’t a “thing” and wasn’t common vernacular prior to the existence of Spinning. (Note: it’s not the same as a group of cyclists who put their bikes on trainers and train together in the winter). OUTDOOR cycling? Yes, you are correct, it is a common word used in outdoor cycling. And no one is taking that away from you or the outdoor cycling world. You can say “we are going to spin the legs” referring to higher cadence as that comes from outdoor cycling. You just can’t call your indoor fitness class on bikes “Spinning”. A structured indoor group fitness class on stationary bikes is definitely trademark-worthy. BTW, when writing Spinning (as it relates to a group fitness class indoors), you only need the (R) or ® for the first instance you write it.